The G Watch is a cool gadget, but it fails to really impress with a lacklustre design and some software quirks which detract from the overall experience. 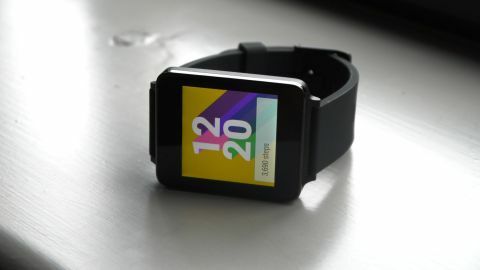 The LG G Watch is the South Korean firm's first attempt at an Android Wear device, as Google looks to tackle the wearable space head on before it sprouts too many disjointed frameworks and ecosystems. It's one of three launch devices, although only itself and the Samsung Gear Live are currently available with the more sought after Motorola Moto 360 arriving later this year. As these are early devices in a new ecosystem I'm not expecting perfection right off the bat, Android Wear is a new offering to the market and manufacturers will have to feel their way into the software. It's early doors for app developers too, with only a handful preparing their applications for launch, but these numbers will grow - hopefully rapidly - over the next few months. Back to the LG G Watch and you can pick one up now for £159, $229 (around AU$290). Oddly it's £10 cheaper than the Gear Live in the UK, but in the US the G Watch is $30 more expensive. Bizarre. A kicker for Android Wear devices is the fact they'll work with any Android device (running Android 4.3 or higher), meaning you don't have to own a LG smartphone to take advantage of the G Watch. As long as your handset is running at least version 4.3 then all you need to do is download the Android Wear app from Google Play to get the LG G Watch setup. From within the Android Wear app you'll be able to see example functions of the G Watch, and you can even send demo cards to the watch to see how different information is displayed on the screen. The G Watch sports a 1.65-inch 280 x 280 IPS display, which is slightly larger than the Gear Live which measures 1.63 inches, but the Samsung boasts a 320 x 320 resolution providing it with a 278 ppi compared to the LG's 240ppi. In terms of power the G Watch is equipped with a 1.2GHz Snapdragon 400 processor and 512MB of RAM, plus there's 4GB of internal storage and a 400mAh battery (larger than the 300mAh offering in the Gear Live). Those are a respectable range of specs, but there's nothing to really pique the interest - but perhaps that's the point. Smartwatches are supposed to be functional, stylish and discreet, rather than feature packed and in your face.